Beneath the Rowan Tree: Hope Visits the UK! 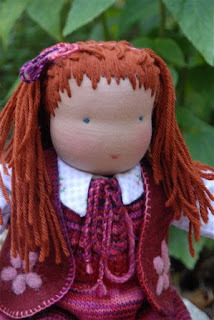 Remember Hope the Travelling Doll? If not, you can read up here. Hope has finished her visit in the UK and is now on her way to Texas. You can see wonderful photos of her UK travels on Hope's personal blog. Hope is travelling around the world to gather stories and treasures about her journey and her encounters with the children she meets. She will be raffled for children's charity when her journey is completed. We are looking forward to welcoming Hope to our home in September. Homes are still needed to host, so if you are interested, please contact her creator, Annette, through Hope's blog.